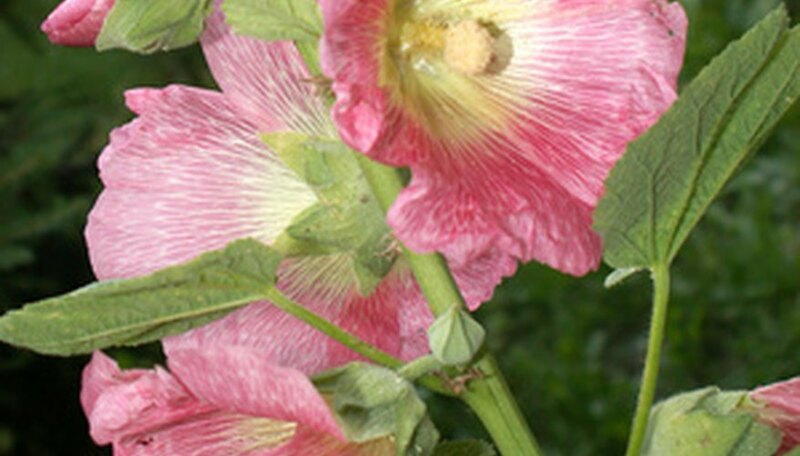 Alcea rosea, commonly known as hollyhocks, are tall, stalk-like plants that can be found growing in many climates and different types of soil. Hollyhock blooms range in color from deep reds to light pinks and even black. These semi-tropical looking flowers bloom in mid-summer with large flowers growing up stalks that can reach 5 to 7 feet in height. Proper care for hollyhocks, such as pruning, is a must when trying to maintain constant blooms and foliage from the plant.